Find the best Spanish teachers for kids or adult tutoring in North Hollywood, and book your private lessons today. Yes even I grew up in a Spanish household I took lessons. Speaking it naturally is way different when learning the grammar and the rules. I will guide you through the levels of the correct formal and informal to talk in Spanish. Students will develop a strong vocabulary while using a technique that build healthy vocal habits. Many aspects of every day actions will be applied through songs that help exemplify the Spanish language. Diction, interpretation, reading and writing exercises, support and focus, all of this while having fun! Also, they will acquire tools needed to keep an everyday communication. 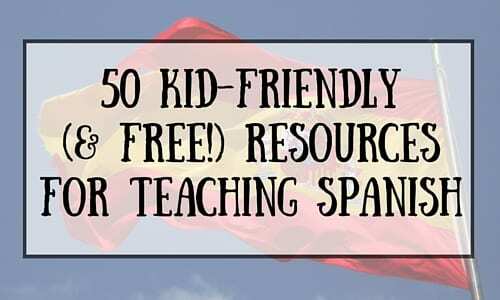 I'm a native Spanish speaker who makes lessons fun! I am very proud to teach my language. I understand that every student has different strengths and weaknesses in their learning process and I am committed to having differentiated instruction in my class with a variety of opportunities for my students’ to achieve their goals. Ariadni Kidonis is a singer songwriter, producer and certified Audio Engineer who currently counts with over 70,000 followers on her fan page and over 50,000 followers on her IG. In 2015, she moved to Los Angeles, CA and enrolled in Musicians Institute (Hollywood, CA) where she studied Vocal Performance and Audio Engineering. She's worked with Sebastian Krys (18 times Grammy Winner) Andres Torres (Latin Grammy Winner), Francci Richards (Grammy Nominated Songwriter), Brad Marrapodi (Sony BMG). She has also worked on a full record for Sony BMG, producing, singing and writing with Alexei Misoul (BMI Award winner) at Sunset Sound Studios. Ariadni K. is the best vocal teacher. she's helped me perfect my vocals and helped me how to warm up my vocals while at the same time help me mind my tone. she helps you in any way that she can to get where you want to be. when I first started my vocals were out of place but Ariadni helped me get better and helped me get far to where I I'm now I'm grateful to have meet her. I’m a musician and producer and I needed to improve my singing skills for writing and doing backgrounds and Ariadni got me where I wanted to get really quick. Awesome teacher, great at shaping the classes around the student. I recommend her to anyone who would like to get to the next level! I consider myself to be very adaptable, adjusting the lessons so they meet the different student's​ needs. "Rosita is awesome and my daughter's Spanish grade is getting better with each lesson. Thank you!" "Maritza is wonderful with my son who is 7 years old. The violin lessons are fun and very very instructive. Glad I found her." Los Angeles, CA teacher: Maritza O. "Rosita is awesome she is so patient with me and it is truly needed"
"She is an excellent teacher and a great person! I learnt a lot in her classes and had a lot of fun as well!" "She is the best choice on here!" "Excelente profesora, muy cálida con sus alumnos. Cuenta con abundantes recursos de enseñanza y es muy responsable." Masculine & Feminine Spanish Nouns | Test Yourself!